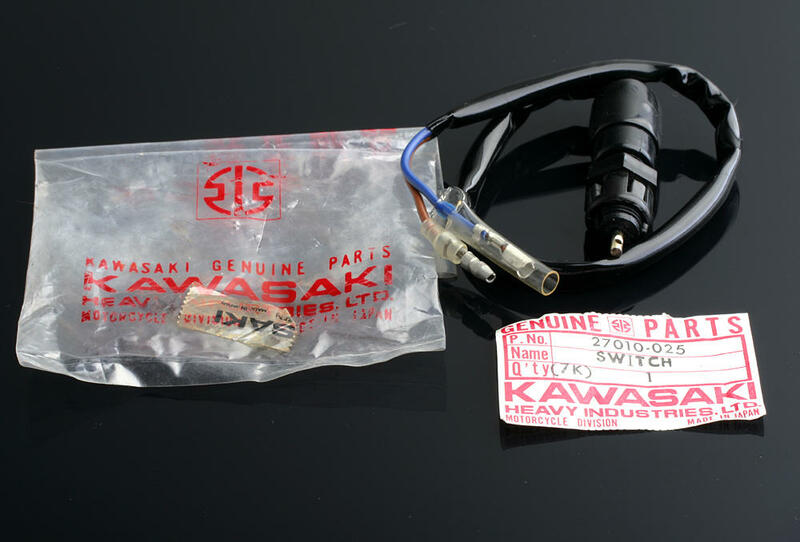 A rear light brake switch for the 500 models but will in fact fit any of the early kawasaki models. 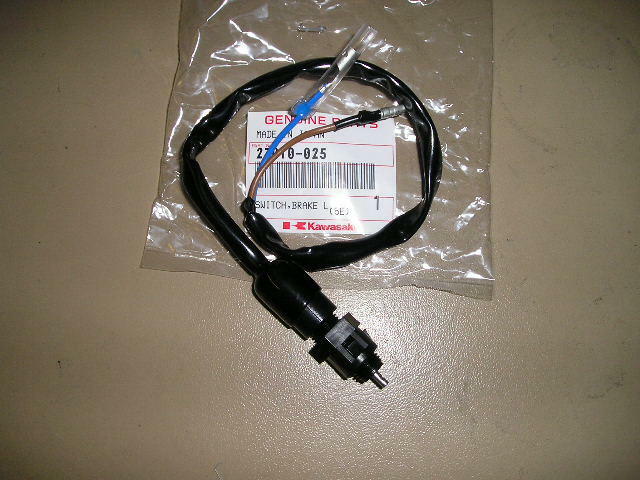 Also fits the Z400. note the use of a black plastic nut instead of the usual 2 chrome nuts.